As if it wasn’t enough to have a store that has cheese samples and an in-house brewery/bar, you can now go to Whole Foods to have a fancy multi-course dinner paired with Texas beers. 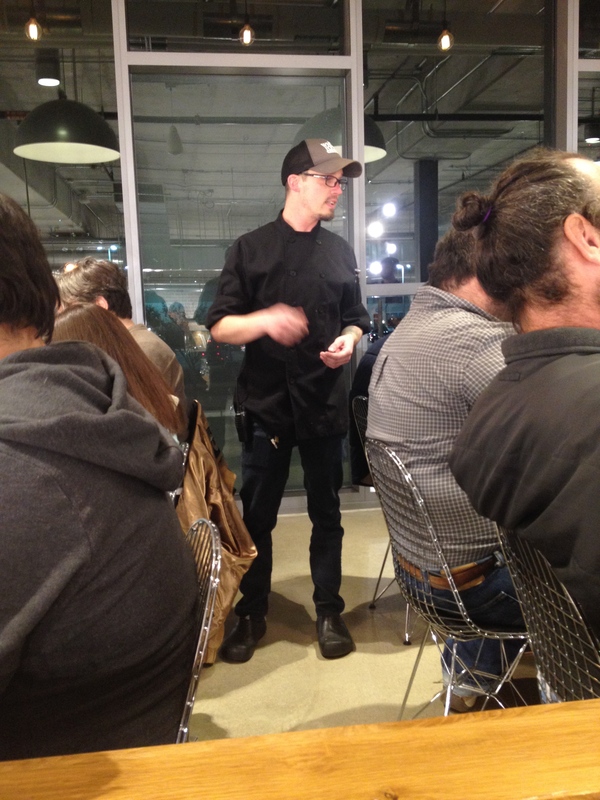 Houston’s Whole Foods Brewing at Post Oak held it’s first event in their new Beer Dinner Series last Thursday night.The dinner featured 6 dishes prepared by Whole Foods Executive Chef Josh Shobe paired with beers created by Brewmaster Dave Ohmer. Now let’s all enjoy some pretty food pictures and maybe grab a snack/beer. 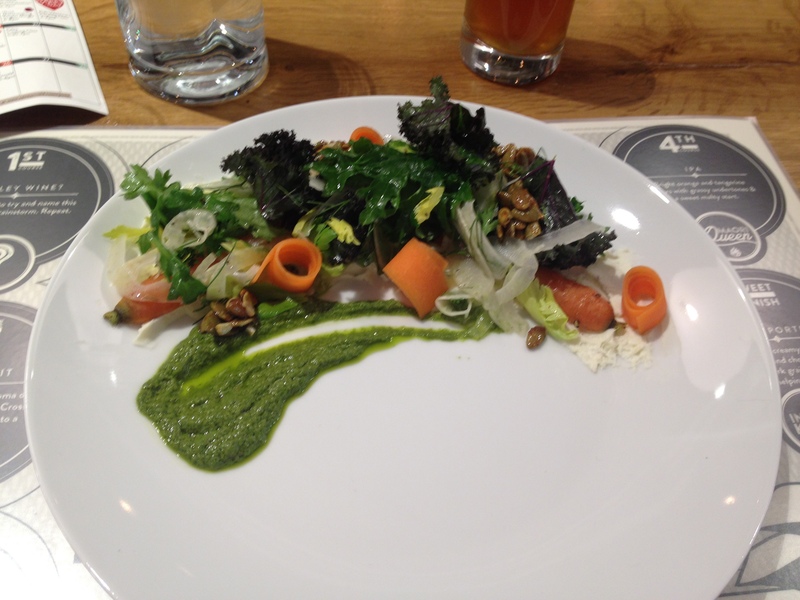 Appetizer: Herb salad with pine nuts, pesto and shaved carrots on top of whipped goat cheese. Paired with Berry White, a Belgian Wit. One of the most beautiful salads I’ve ever seen, I could only feel comfortable eating it after I had taken about 5 pictures of my plate, lest I forget it later and need to look at again. 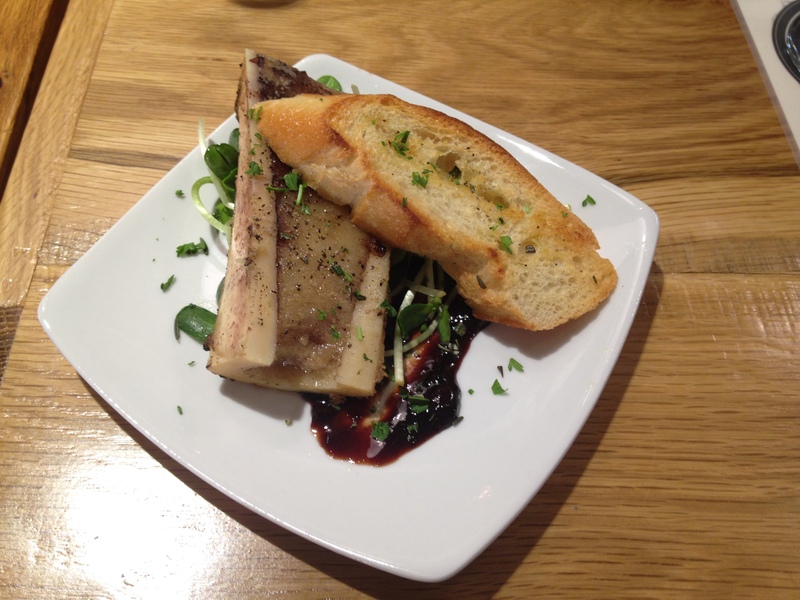 First course: Marrow bone with baguette, frisee salad and cherry jam. Paired with Jambone barley wine. Thoughts on bone marrow: looks weird, tastes like beef butter, is difficult to eat without a tiny spoon. I’m not sure if I would have ever thought to try bone marrow had it not been on the menu, but the presentation was beautiful and the cherry jam that it was served with was amazingly sweet and tart. Note to self: pair more meats and fruit. Cranberry and turkey is for amateurs. Unlike many of the beer dinners I’ve been to, the sample pours paired with the food were bigger than I expected, which took some serious willpower and pacing. 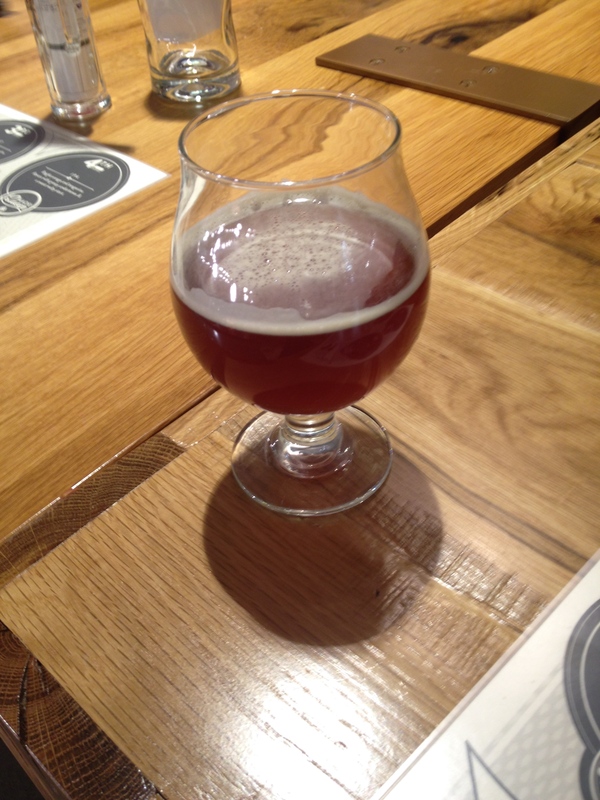 The barley wine, which came in at about 11.2% ABV, started to hit me after about three sips. Since it was only the second beer of the night, I didn’t finish my 8 oz. pour, though I easily could have. 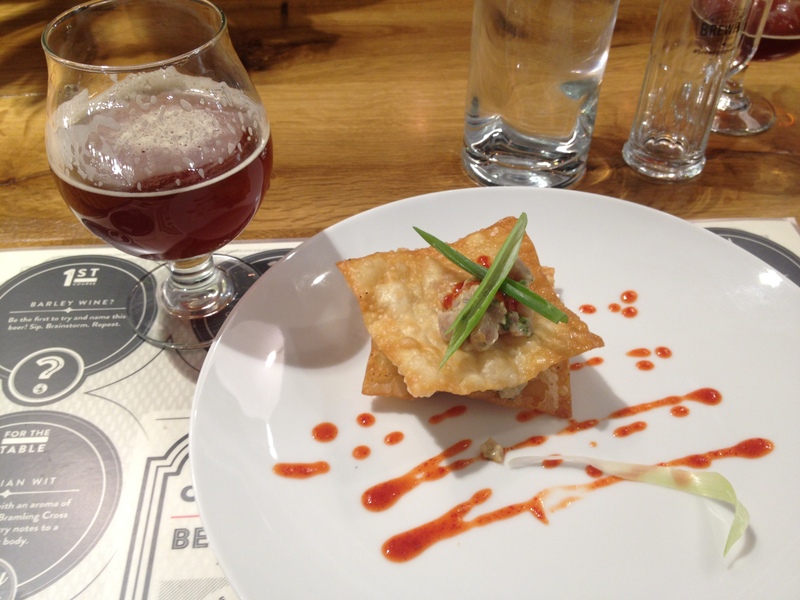 Second course: Tuna tartare on crispy wonton chips with sriracha sauce. Paired with Get to the Root Amber Ale. The ginger in the amber ale paired well with the tuna, and sriracha pairs well with just about everything. I don’t know a ton about sushi or seafood, but if it was always served on a wonton chip, I’d probably eat more of it. Third course: Tempura lobster bisque with lemon. Paired with Flat Out stout. Sadly, this was the only dish I didn’t enjoy, simply because I couldn’t eat it due to a shellfish allergy. The people around me seemed to enjoy to richness of the soup with the hunks of lobster. I seriously considered risking a swollen face just to try it. Moving on. 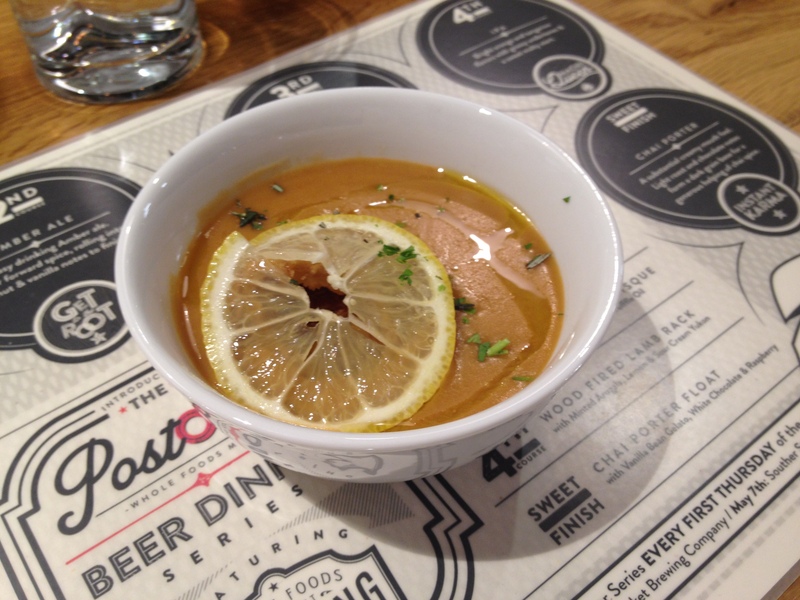 According to Shobe, the stout paired with the soup was also used as the base, along with white truffle oil, cayenne pepper and lemon. The Flat Out stout lived up to it’s name: a simple,classic stout with no extra flavoring, which was a welcome break from the bourbon barrel trend. Fourth course: Wood-fired rack of lamb with mint frisee salad and sour cream and yukon potatoes. Paired with Maori Queen IPA. At this point in the night, everyone had already had four beer samples and was about to try another, so finding the mashed potatoes underneath the lamb shanks in this dish was like hitting the carb lottery. 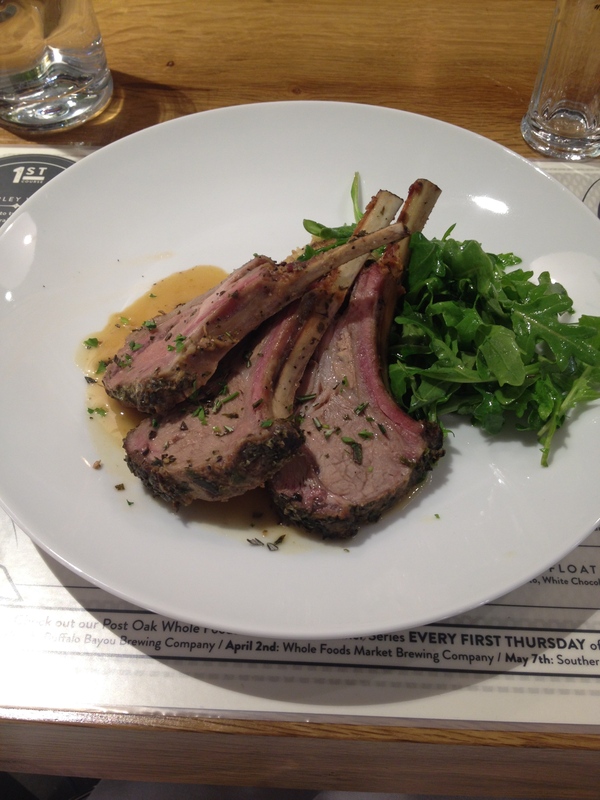 The lamb was a bit richer than I expected, but helped to reaffirm my belief that all meat should be herb-encrusted. The sweet and hoppy notes from the IPA helped to cut through some of the richness of the meat and potatoes, without being too heavy itself. 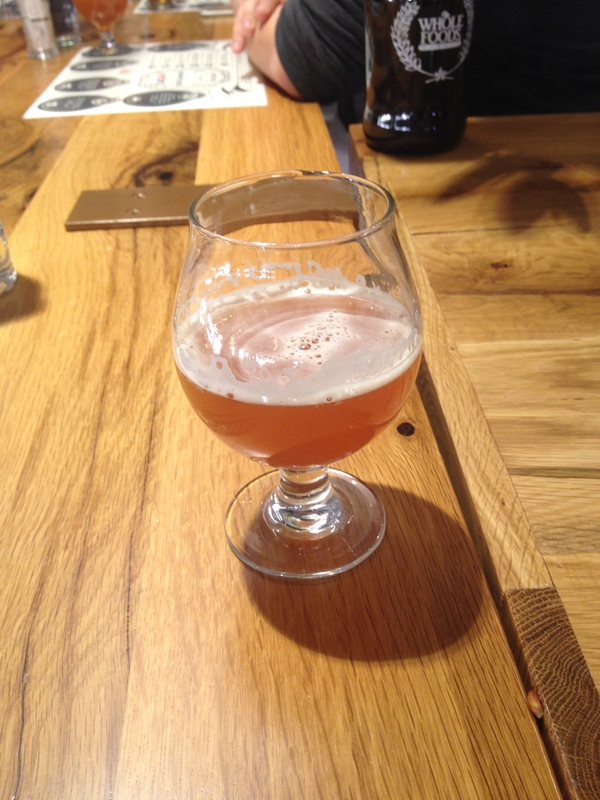 According to Ohmer, the name comes from the native Polynesian people of New Zealand, where the hops were sourced. Paired with English malts, the beer represents the introduction of European culture to the country in the 1600’s. 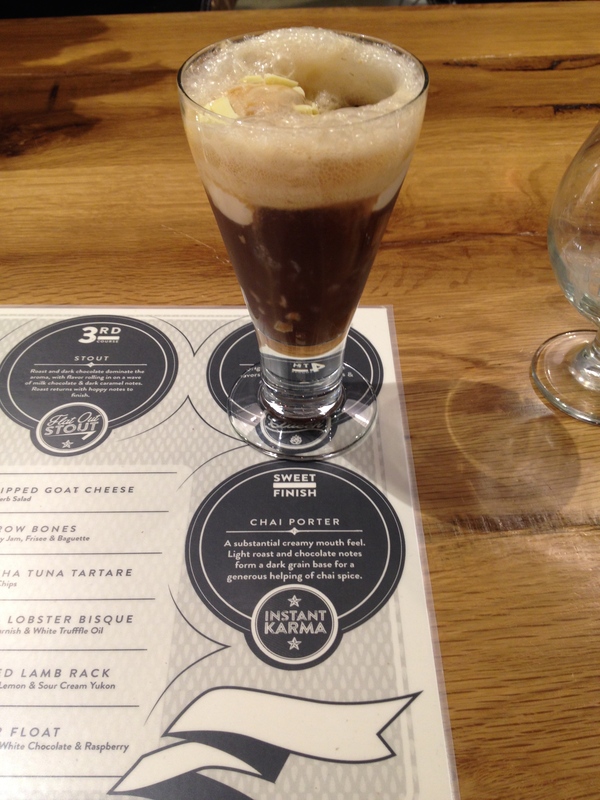 Dessert: Instant Karma Chai porter beer float with vanilla bean gelato, white chocolate and raspberries. You know that saying, “too much of a good thing?” It’s stupid. Throw all the good things in a glass and call it dessert. Beer, gelato, chocolate, fruit. Done. 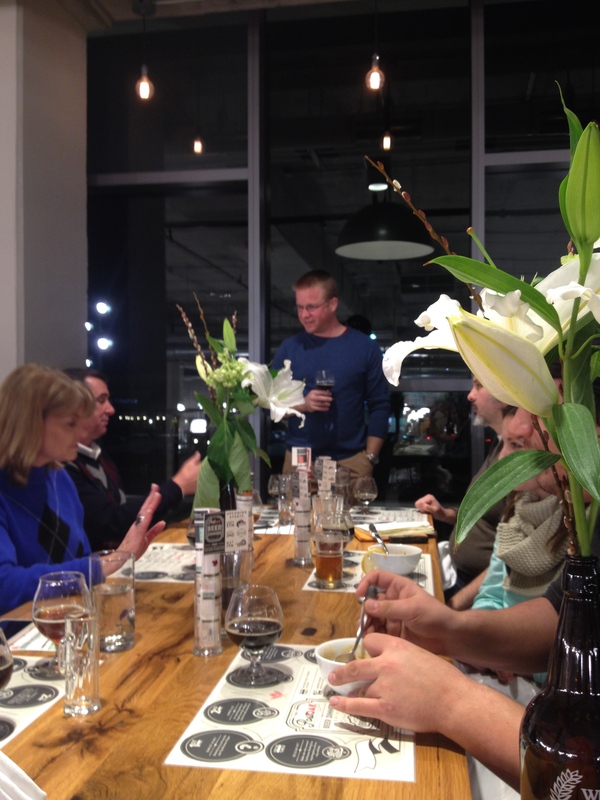 Whole Foods Brewing will be holding beer dinners featuring new breweries on the first Thursday of every month, with new beer collaborations to be introduced with each guest brewery.